(SPOT.ph) Homebaker and culinary arts graduate Anj Orense is sharing her #feelz by baking cookies that express sweet but not-so-literal bitterness. The name of her baking company? Totoo Pala Ang Pag-Ibig Homemade Cookies. 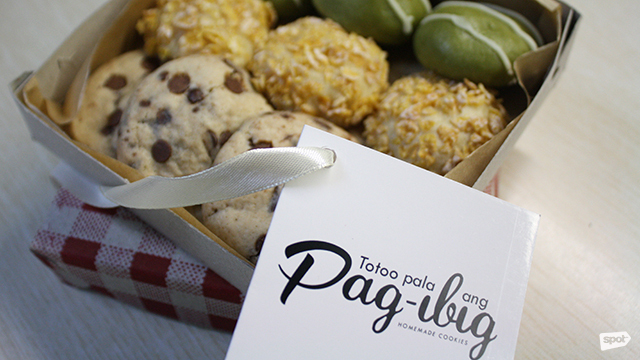 Catering to those who require a bit of love in their life, Totoo Pala Ang Pag-Ibig Homemade Cookies offers three kinds of sweet treats: Mahal Kita Pero Di Mo Lang Alam (P350), chocolate chip with brownie filling, the overall flavor is reminiscent of cookie dough; Forever (P250), a toothsome breakfast-esque milk cookie dusted with Kellogg's cornflakes; and The One That Got Away (P350), a limited-edition green tea nibbler. The latter is also available with a Green Tea Kit-Kat filling (P400). Each box can come with either six big cookies or nine daintier ones. 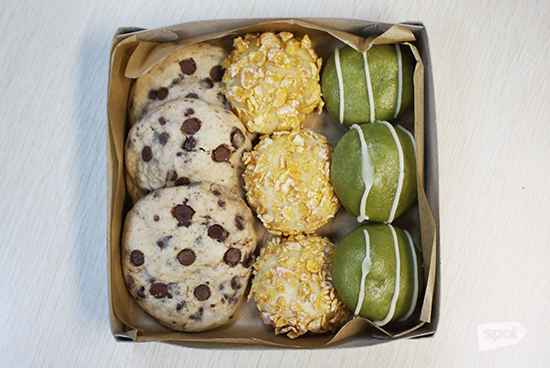 Anj also has a sampler set called Patikim ng Pag-Ibig Box (P400 to P420), which fits three pieces of each flavor. The box comes with a card bearing a quirky or punny message. Anj has so many notes in her arsenal. Anj doesn't have a brick-and-mortar shop yet, but she does meet-ups because, according to her, "Ang pag-ibig, hahamakin ang lahat, masunod ka lamang." 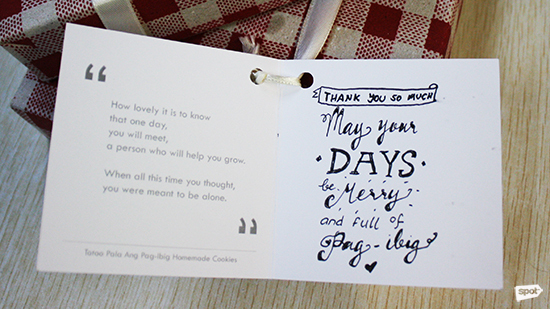 For orders, contact Totoo Pala Ang Pag-Ibig Homemade Cookies at 0927-909-8696.